TEXAS CHAINSAW Is No Longer A Massacre, But It’s Still 3D | Birth.Movies.Death. The first poster for the new TEXAS CHAINSAW MASSACRE movie reveals they've lost the MASSACRE part. 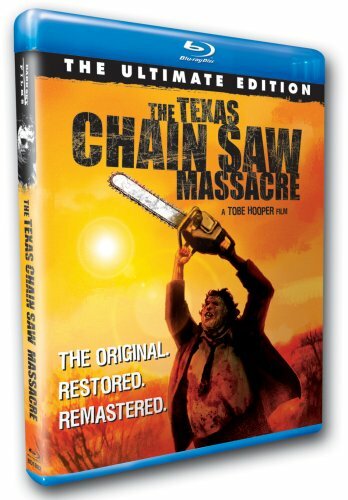 The Texas Chainsaw Massacre is one of the greatest movie titles of all time. It's perfect in the way it lets you immediately imagine what sort of film you're getting when you see it. The Massacre part of it is key, by the way. It's how you know this isn't just a movie about power tools but rather about power tools being used on human flesh. There have been many sequels and remakes of the film (Brian recently suffered through one of the worst), but they've all maintained the Massacre element. Until now. The new film - which I think is a sequel to the original that skips all of the other sequels - is titled Texas Chainsaw 3D. I'm imagining some guy with a bluetooth in his ear explaining that the shorter title would make it stand out or something. Or maybe it's truth in advertising! Maybe there's no massacre in this one - just a discrete murder or two. But seriously, dropping Massacre seems dumb. Leatherface is the only constant and they can't even get him right. At long last, the TEXAS CHAIN SAW MASSACRE origin story gets a release date.